Home International How can Ireland support a two-state solution to settlement issue in Palestine when our Government only recognises one of those two states? I questioned the Minister For Foreign Affairs about the ongoing settlement issue in Palestine and our recognition of the two-state solution, particularly in view of the fact that the illegality of the settlements has been re-affirmed by the United Nations Security Council. The settlement issue shows a disregard, a disdain and an indifference to international law and also to the United Nations Security Council. The ongoing policy of settlement expansion has to be seen in light of the possibility of the two-state solution. When one is there and sees the extent of the settlement building one gets a real sense of whether it is possible to have a two-state solution; There will be nothing left for Palestine to call a state if we continue to do nothing. If we are committed to the two-state solution, surely it is logical that we recognise Palestine as a state. How can Ireland support a two-state solution when our Government only recognises one of those two states? 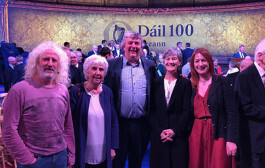 Deputy Maureen O’Sullivan asked the Minister for Foreign Affairs and Trade if he will progress Ireland’s recognition of Palestine as a state, in view of the recent approval by the Israeli Government of further construction of settlements, the illegality of which has been reaffirmed by the United Nations Security Council and the violation of international law. Deputy Maureen O’Sullivan: My question relates to the ongoing settlement issue in Palestine and our recognition of the two-state solution, particularly in view of the fact that the illegality of the settlements has been re-affirmed by the United Nations Security Council. Deputy Charles Flanagan: As I have reported to the House on a number of occasions, I am keeping under continuous review whether the immediate recognition by Ireland of a state of Palestine, prior to its real achievement on the ground, could be helpful towards the goal of resolving the conflict and, if so, when that might have the greatest impact. My two visits to the region have contributed to that ongoing consideration. I have discussed the question with local leaders, EU colleagues and international colleagues outside of the European Union. The motions passed by the Dáil and the Seanad in this regard in 2014 are obviously important factors, but ultimately this is a decision for the Government. There are many factors to take into account, both positive and negative. I am also acutely conscious that the situation on the ground has continued to deteriorate and efforts to reanimate the political process have not yet been successful. I condemned the recent surge of Israeli settlement announcements in a statement issued on 25 January. Continued settlement expansion runs directly contrary to the prospects of achieving a peaceful solution to the conflict in Palestine and has for this reason been a central focus of the policies I have advocated at EU level. I discussed the matter earlier this afternoon with my colleague the French Foreign Minister, Mr. Jean-Marc Ayrault, who played a leading role in a Paris initiative culminating in an international conference in January to which Ireland was invited and in which it participated. While the settlement announcements of recent times and ongoing do not directly relate to my consideration of the specific question of possible recognition, I have to say that recognition would not help to prevent settlement construction, as the existing recognition of Palestine by many other states clearly has not. However, it is certainly an indirect factor in that continued pressure on Palestinians is a strong argument in favour of a broadly supportive gesture such as recognition. I am continuing to weigh these and other arguments in relation to recognition on an ongoing basis and I will be very happy to keep the Deputies and the House fully informed. 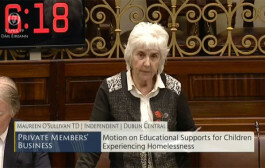 Deputy Maureen O’Sullivan: I thank the Minister. The settlement issue shows a disregard, a disdain and an indifference to international law and also to the United Nations Security Council. The ongoing policy of settlement expansion has to be seen in light of the possibility of the two-state solution. The Minister was there, as was I. When one is there and sees the extent of the settlement building one gets a real sense of whether it is possible to have a two-state solution. Palestine is where we were. We had land grabs in this country, with Britain taking the land from Irish people. We remember Cromwell’s “to hell or to Connacht”. It was an attack on the land. It was also an attack on our culture and our traditions. My question is, how can we support a two-state solution when our Government does not recognise one of those states as a state. 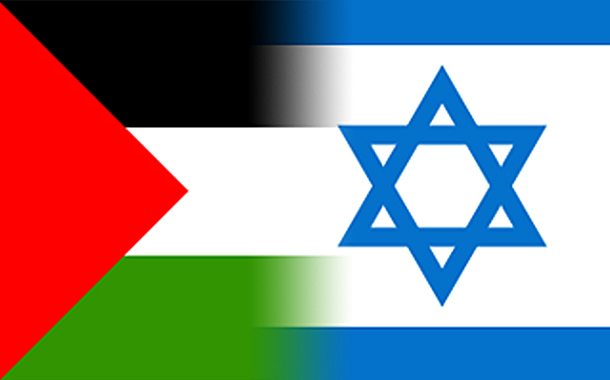 If we are committed to the two-state solution, surely it is logical that we recognise Palestine as a state. I would like to know how emphatic we are at EU and UN level in condemning what Israel is doing with settlements. Deputy Charles Flanagan: I wish to assure to Deputy that as far as the latter is concerned, I will make it clear lest there is any doubt, these settlements are illegal, they actively undermine the prospects for a sustainable, negotiated two-state solution and the relentless expansion of settlements inherently involves injustice and provocation for Palestinians. 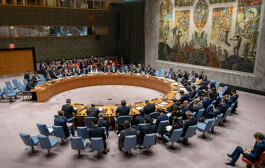 The intention to proceed with new settlements in East Jerusalem only continues to call into question further the commitment of the Israeli Government to engage in meaningful negotiations aimed at achieving a two-state solution. The Irish Government fully recognises that the only objective manner in which a solution can be achieved is by means of a two-state solution. Ireland remains steadfast in its support for a comprehensive two-state solution which protects the future of both Palestinian people and Israelis. Deputy Maureen O’Sullivan: The reality is that the settlements are continuing. I want to acknowledge the Israeli opposition to this as well. The vote in the Knesset was 60 to 52 and the Government’s top lawyer has called it unconstitutional. A number of Israeli NGOs are actively opposing this regulation Bill. I acknowledge the information that SADAKA has sent. Many parliaments have voted to recognise a Palestinian state but it is not followed up by the governments. It has to be asked if we are just paying lip service to the idea of a Palestinian state. 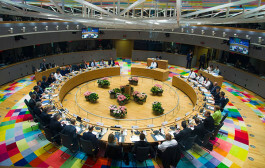 The European Parliament also voted in favour of the recognition. Sweden has had the moral gumption to stand up and there are no signs of any deterioration in its relationship with Israel. 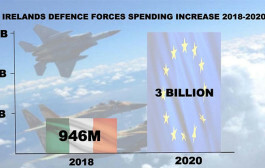 Why can Ireland not also do that? As the Minister has said, it is violating international law and going against the United Nations Security Council. There will be nothing left for Palestine to call a state if we continue to do nothing. Deputy Charles Flanagan: That is precisely why this matter is under active consideration. I want to try to avoid lip service and ensure we can do something meaningful and positive. Recognition of Palestine would essentially be a symbolic step. It would not help slow the settlements. It would not prevent evictions or demolitions. It would not in any way hasten an end of the occupation. However, it would be a signal of support and hope to Palestinians at a time when the political process seems moribund. They are symbolic issues but important ones. We need to ensure that Ireland makes a positive and constructive contribution. I am very pleased to engage on an ongoing basis with my EU colleagues. Ireland’s position has been made abundantly clear not only in the European Union but also at the international Paris conference where I spoke on behalf of Ireland in January.